Mutiny Bikes‘ newest pro, Dylan Lewis is throwing a jam at Caloundra Skate Park in Australia on June, 18th! If you’re looking for a good time, this is going to be the place to be if you can make it! Address below! It was announced the other week that Mutiny Bikes had added Dylan Lewis to the Pro team, and it looks like they haven’t been slacking on dialing in his first signature frame. Here’s a little sneak preview Mutiny dropped today of the frame with full specs and details. The Death Grip frame will be available in 21.3″, 21.6″ and 21.8″ top tube lengths. No word on colors, but raw is looking damn good regardless. 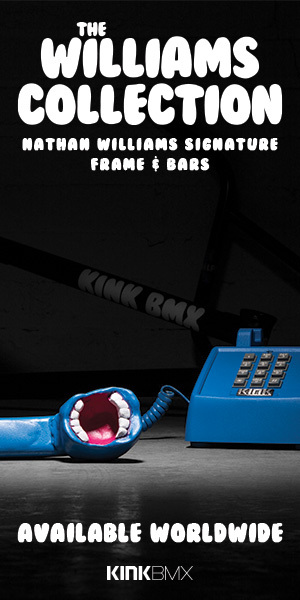 It will be available through BMX shops and mail-orders that carry Mutiny Bikes in September! We’re so pumped on this. Mutiny Bikes have given their Australian connect, Dylan Lewis the very well deserved bump up to the Pro team! Above is his official welcome video that’s packed full of some seriously phenomenal riding to make the announcement. We’re not quite sure how the hell Dylan goes so big, but we love it. We’re currently working with Dylan on a bike check, so keep an eye out for that soon, too. “We are excited to announce that Australia’s very own Dylan Lewis, has got the bump to our pro team for 2016. We’re looking forward to bringing Dylan out to the states this summer to hit up a few events and visit Camp Woodward. It looks like Dylan Lewis and his brother Tama Lewis wrapped up 2015 on a high note with a proper session at the skatepark in Caloundra followed up by some beers, fireball and fireworks! If you like style, this is the BMX video you gotta be watching right now! When Dylan Lewis drops a new edit, you know you’re going to be in for a BMX video packed full of power and style. Mutiny Bikes released this new video featuring Dylan roasting trails and cement parks down in Australia and damn is it good! “Power, speed and control are 3 words that I feel describe Dylan’s riding perfectly. I remember watching Dylan’s last edit and having my mind blown. Fast forward a few months, Dylan is now flying the flag for Mutiny Bike Co. in Australia!